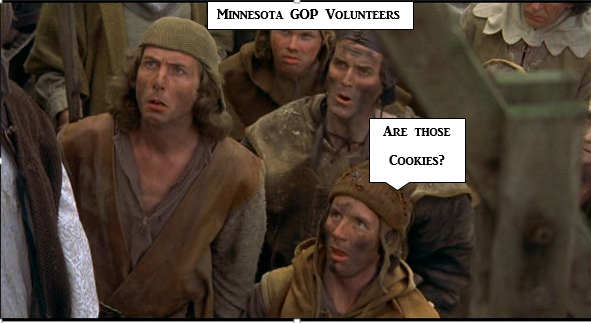 Rather than honoring the volunteers who worked their butts off for candidates, the Minnesota GOP used their victory party as a fundraiser. Before beginning my diatribe, let me just say “thank you” to the hard working candidates and the volunteers who spent countless hours away from the comforts of home and hearth to try to save Minnesota from ruin. There was a lot on the line here in Minnesota this election season and the Minnesota GOP lost it all. 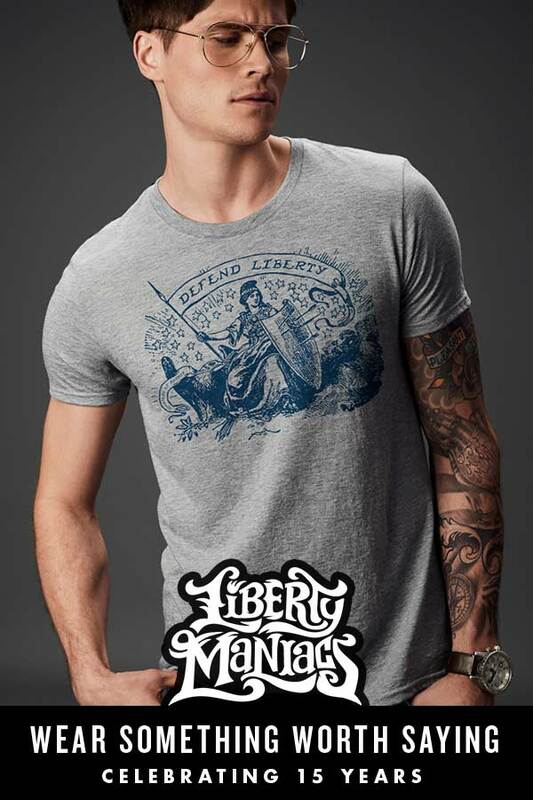 We had two obvious choices – Liberty vs. Marxism. Because I was taught that the easy way is most often the wrong way, I made the conscious effort to help Jeff Johnson in his bid to become governor and Doug Wardlow in his fight to become the first Republican Attorney General in decades. In other words, I did more than just turn up and vote for Republican candidates. Keith Ellison, the Democrat candidate for Attorney General is an alleged abuser of women and a devout follower of Islam. He called the United States Constitution a “white racist conspiracy” and proposed a separate nation for blacks in a series of articles he wrote when he was in law school in the late 1980’s and early 1990’s. He was a distasteful and hateful choice for Minnesota Attorney General. Doug Wardlow believed in the United States Constitution and the rule of law and was a candidate worthy of support. For me, the choice was clear – fight against Keith Ellison to preserve rule of law in Minnesota. To achieve this goal, the Deplorable Housewives wrote research articles to expose Ellison and attended bridge rallies to warn the average Minnesota voter. The men and women I met standing on a bridge over I-494 were an inspiration. They worked tirelessly to draw awareness to the radical Ellison. The effort took great time and courage. My belief in Jeff Johnson for governor led me to donate generously to an independent committee, Diverse Voters for Johnson. We knew the Johnson campaign needed yard signs so we used our funds to print 300 signs. It took many hours and miles to find homes for the signs but with the help of my friends, we got the job done. Election day was cold and wet, yet we stood shoulder to shoulder with dedicated volunteers, clutching candidate signs with numb fingers. With a smile on our faces and hope in our hearts, we got dressed up in our red victory gear and headed out Tuesday night to the GOP Victory Party at the Doubletree in Bloomington. The party was a slap in the face to candidates and volunteers alike. The elitist GOP leadership made the decision to use the victory party to raise money for themselves rather than to say “thank you” to those who spent their money and their sweat to make the party strong. If reading this makes you uncomfortable, you’re probably part of the problem. At the very least, you could have given volunteers a free glass of water and a cookie. I would have give you $5 for a chair. The GOP elite had literally fenced off a portion of the ballroom for themselves. Those willing to fork over $100 were treated to cookies and appetizers which they enjoyed from the comfort of tables with chairs. Meanwhile, the chattel were forced to stand and watch the “Marie Antoinette’s” of the GOP enjoy making gluttons of themselves. Then there were the desperate, standing with the chattel, waving at the GOP royalty trying to get noticed and receive a golden ticket of admittance. Those of us who wanted to take a load off after standing in the rain all day had to sit in the nearly empty Wardlow victory room and listen to people cry as they watched the destruction of their party and state. And where were you, Doug Wardlow? Volunteers protesting against Ellison to support you were threatened with arrest. Gratitude would have demanded you say thank you. Crickets! We met many volunteers that evening while the candidates remained cloistered in the War Room, watching their demise. At the very least, you could have made an appearance to show your gratitude to your volunteers. We left at 10 pm and didn’t see any candidates. What accounts for this near extinction level event? Republicans don’t have an operational, effective political party. A long time ago I observed that the Republican Party of Minnesota wasn’t a party per se so much as a group of competing interests. In other words, you couldn’t organize a Halloween parade. In order to win back the House in 2020, the Minnesota GOP will need to clean house. Jennifer Carnahan has to go as do most of the Congressional District Chairs. The local BPOUs are so dysfunctional that we stopped attending years ago. The most challenging issue for the GOP elites – be kind and grateful to those who volunteer for candidates. Welcome newcomers. We deserve appreciation and not your scorn. As for me and my family, we will support President Trump in 2020. He’s our rock-star and the hope of the nation. It’s more important to save the country than it is to save Minnesota-stan. So long Minnesota GOP. You’re not worth the effort or my hard earned cash.